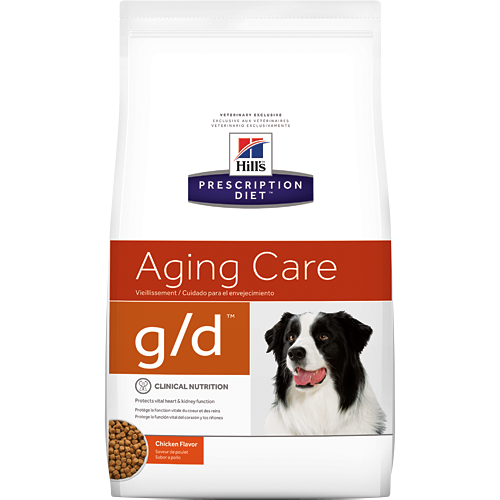 For the nutritional support of senior dogs. Hill's nutritionists and veterinarians developed nutrition to support your older dog's kidneys and heart for overall health. Hill's® Prescription Diet® g/d® Canine is a complete and balanced food that provides all the nutrition dogs need.